The American Optometric Association says children with "normally developing" vision will suffer no ill effects from using the Nintendo 3DS and that the device might actually be beneficial in the early detection of sight difficulties. Nintendo has been warning pretty much from day one that the upcoming 3DS handheld, which uses some kind of dark magic to create three-dimensional images without the need for 3D glasses, may not be good for the still-developing eyes of very young children. The company has gone as far as to say that children under six won't be allowed to play with the device at the Nintendo World event taking place later this week. But the American Optometric Association yesterday gave the device a green light, saying it could actually be useful in diagnosing other "subtle disorders" that could cause bigger problems later in life. Visual acuity isn't the only factor involved in seeing 3D images, the AOA said, noting that coordination of eye muscles and appropriate interaction with the brain are also major factors. When there's a breakdown in that process, eye fatigue and loss of 3D viewing can rapidly occur. But the same issues that lead to difficulty viewing 3D can also result in "loss of place when reading or copying, reducing reading comprehension, poor grades and increased frustration at school." "Difficulties with appreciating 3D in movies, TV and Nintendo's 3DS, or discomfort when engaging in these activities may be an important sign of undetected vision disorders," the AOA said in a statement. "Since vision develops from birth, it is crucial to uncover the type of vision disorders that may interfere with Nintendo 3D viewing at an early age. Although success can be attained in treating conditions such as amblyopia (lazy eye) and strabismus (eye turn) beyond age 6, the outcome is always better when children are treated as soon as signs of these problems are detected. 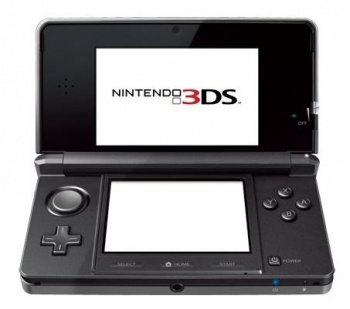 Accordingly, children younger than 6 can use the 3DS in 3D mode if their visual system is developing normally." Nintendo's new 3DS handheld comes out in Japan on February 26 and is slated for rollout in the rest of the world in March. I'm willing to accept that there probably won't be ill effects for average eyes but GOOD for kids with sight issues? I think someone should check for optometrists with new boats. It's about time that someone decided to actually look into this issue rather than just accept the hypothesis presented earlier. so..........wait, an AMERICAN institution is saying games [at least the 3DS] will be good for kids? ............the hell just happened? did we merge with an alternate universe or something? Where were these guys when the virtual boy came out? They're saying it's GOOD in the sense that they can use it to detect problems, not in the sense that the device has some kind of benefits, kind of like an X-Ray machine. Still, interesting findings, and an odd role reversal, since the big business saying 'our product is bad for you', and the experts saying 'actually nah, it's cool'. But all sorts of leading 1920's scientists and doctors say that X-rays promote longevity in life! It cures all sorts of ailments! OP: This is actually an interesting find, I must say. Offtopic: Subtitles and HUD in 3D games would be weird, I remember in AVATAR they had the translation float in front of the movie, and it was really distracting! Who would be bribing them? Nintendo itself came out and said it probably isn't good for eyes. At the time, the concept of "virtual reality" was all the craze and nobody really stopped to think whether or not there would be health concerns. But nowadays, as AVGN put it, "nobody gives a sh*t about virtual reality no more", so people are bound to be more cautious. It's also possible that Nintendo exaggerated with the warnings, causing a countereffect and making people worry more about the effects of exposure to 3D than they would otherwise, thus prompting a response from a official health organisation. Yes the most important part of my statement was my personal beliefs. Nowhere was there hyperbole or sarcasm. "Difficulties with appreciating 3D in movies, TV and Nintendo's 3DS, or discomfort when engaging in these activities may be an important sign of undetected vision disorders," the AOA said in a statement. This just in from the AOA: "If you don't like 3D, it's because you're broken inside." Just kidding. Actually, I think the optometry world could really do more to work through schools to help early detection of vision problems. I know I've got a buttload of students that have trouble with visual tracking, reversal of symbols, or even just untreated near-sightedness. It's sad for a kid to go undiagnosed with dyslexia until middle school, but it happens pretty damned regularly--especially in poor families. If the 3DS can increase awareness of this kind of thing, maybe it'll also help to develop better testing methods for early detection.